Quest proactively protects your system & data. Trust Quest to minimize downtime if disaster strikes. 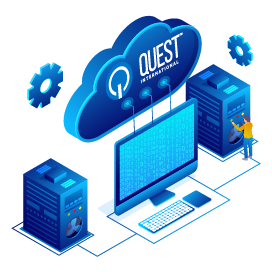 Quest’s Data protection solutions are essential for businesses of all sizes to implement, regardless of size, industry and geographic location. Business continuity is equally important to consider as it ensures your organization is able to get back up and running in a timely matter when disaster strikes. For example, if your server malfunctions, you wouldn’t be able to quickly get back to work if you only had file-level backup. Your server would need to be replaced, software and data re-installed, and the whole system would need to be configured with your specific settings and preferences. This process could take days. Can your business afford to lose that time and data? By calculating your desired RTO, you have determined the maximum time that you can be without your data before your business is at risk. Alternatively, by specifying the RPO, you know how often you need to perform backups. You may have an RTO of a day, and an RPO of an hour depending on what your business requirements. They can strike any business at any time and the downtime they cause is truly catastrophic, many of which never recover. The strength to avert disasters and effectively handle the ones that occur starts with knowledge. Disasters of all kinds cause downtime that is harmful to a business. Disaster planning must encompass disasters of all types and sizes: ransomware, cyber-attacks, power or IT system failure, fires, floods, fraud, human error, acts of terror, and other unthinkable scenarios. While the type of disaster varies, the impact is typical: data and operational downtime that is truly disastrous. 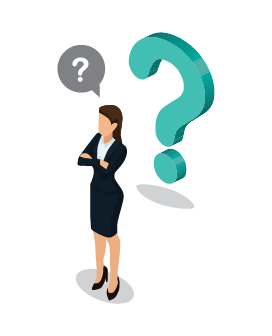 The devastating effect of downtime caused by disaster include irreparable damage to data, reputation, customer relationships, income, and business vitality. The best offense is a good defense. Protect your business by understanding your vulnerabilities, safeguarding against the risks, and preparing for the worst possible business disruption with a plan for business continuity and disaster recovery that will shield your data, protect your business, and keep your systems available and reliable no matter what happens. The average time it takes a business to recover from disaster is 18.5 hours, but 43% of companies never totally recover from the incident. Your disaster recovery plan must ensure that your entire business infrastructure can be recovered quickly. Quest offers holistic, integrated business continuity and disaster recovery plans that is reliable, simple, and quick. A plan that is visible, scalable, and affordable. Business-critical data, systems, desktops, servers, and the entire infrastructure must be protected and recoverable. With secure local virtualization solutions, if disaster strikes, your entire infrastructure (physical or virtual) is virtualized instantly, empowering you to continue your business operations without losing any data, incurring any damage, or experiencing minimal downtime. 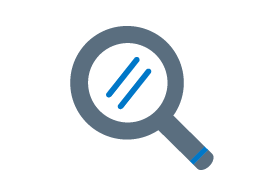 Quest has flexible and scalable solutions for business of all types and sizes. 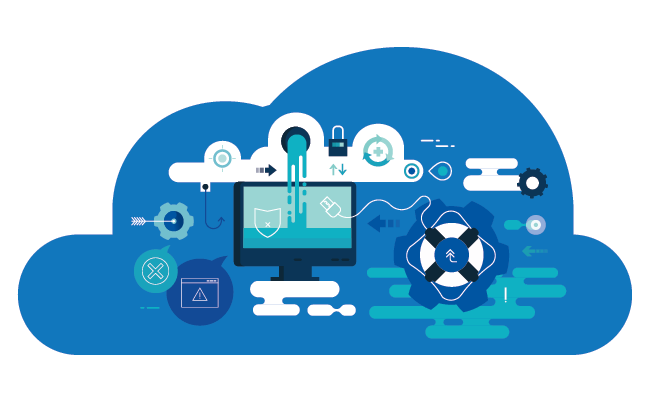 Hybrid cloud backup - A hybrid approach fixes the vulnerabilities that a cloud-only or local-only possess. Superior RTO and RPO - Think in terms of business continuity rather than a simple backup. Calculate how much downtime your business can endure and still survive. Image-based backup - Make sure that the backup solution takes images of all data and systems rather than simply copying the files. While many businesses may not have the same IT budget as large enterprises, the risks facing their business data remain the same. Implementing a data backup, and business continuity and disaster recovery strategies should be a priority for all organizations. A hybrid approach to fix vulnerabilities that a cloud-only or local-only possess. A backup solution that takes images of all data and systems rather than just a simple copy of files.